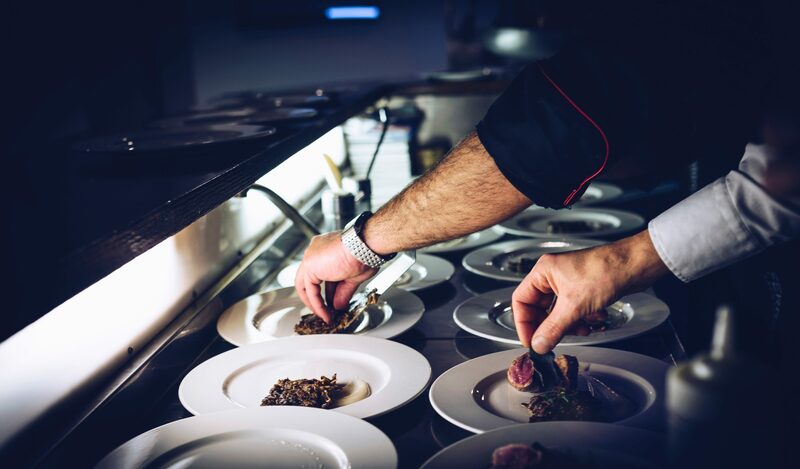 Eurest Dining Services is one of the country’s premier food service and hospitality providers, supplying food service to many corporate offices throughout the United States. They are focused on quality meals, healthy ingredients, and exceptional customer service. One of Eurest Dining Services’s most prominent clients is IBM, which happens to be one of the biggest and easily recognizable corporations in the world known for cutting-edge business systems and computing solutions. The IBM corporate campus in Santa Teresa, California is a large facility, so food service for employees, guests and clients are a major priority. When the IBM facility in Santa Teresa decided to renovate their kitchen complex, Eurest Dining Services needed to be able to provide normal food services at its usual high standards. They required temporary kitchen facilities on site for the three months that the main kitchen was being renovated. Who did they decide to rent their temporary mobile kitchen units from? Mobile Kitchens USA. Eurest Dining Services has worked with Mobile Kitchens USA on a number of mobile kitchen projects throughout the year. They knew they could count on us to get them the mobile kitchen trailers that they needed, customized exactly to their specifications. This was a big job that required three different mobile kitchen trailers. The first was an 8’ x 48’5” Mobile Kitchen Semi Trailer (Unit #CTC-525). This trailer was set up to run on electric equipment and included a hood, fire system and exhaust system for safety. For cooking, this mobile kitchen trailer was equipped with a char broiler, a double-basket deep fryer, a double convection oven, a 6-burner range with an oven underneath and a double-door steamer. The unit was also fitted with two double-door reach-in refrigerators, a hand sink, a three-compartment sink and a work table. The second unit was an 8’ x 46’6” Mobile Prep Semi Trailer (Unit #CTP-641). This trailer was designed specifically for food storage and food preparation. It had a 10-foot refrigerated table, a double-door reach-in freezer, multiple work tables, a two-compartment sink, an additional sink with a drain board and a hand sink. It also included a front-mounted air conditioning unit for worker comfort. Lastly, Eurest Dining Services rented an 8’ x 50’ Mobile Serving Semi Trailer (Unit #CTH-8). This trailer was set up for food service, with windows for walk-up and serve-up ability. It featured a double-door reach-in freezer, a double-door reach-in refrigerator and two alto shams (models 1000THI and 1000UP). The unit also included three different steam tables—one with two wells, one with three wells and another with four wells. In addition to the three mobile trailers for food preparation and service, Eurest Dining Services also contracted with Mobile Kitchens USA to set up an electric salad bar in the client building at the IBM campus. Thanks to the various trailers rented from Mobile Kitchens USA, Eurest Dining Services was able to continue regular food preparation and food services at the IBM facility without interruption. It was a big job, but Mobile Kitchens USA was up for the task as always. To learn more about Mobile Kitchens USA or to see what types of mobile units we have available to rent or purchase, contact us today!